The social care of students is a central task of Studentenwerk Göttingen. The Studentenwerk offers you advice and support through its Social Service and Psychosocial Counselling (PSC). Based on the contract for cooperation in psychological counselling and crisis intervention, the work of the PSB is jointly financed by the University of Göttingen and the Studentenwerk Göttingen. Information on other social facilities, self-help opportunities, information and advice, professional support, treatment and aftercare, is offered by Wegweiser "Soziales Göttingen", a project of the Health Centre Göttingen e. V.
Our social service offers you a general social counselling. The focus is on economic issues and the specific problems of disabled and foreign students. 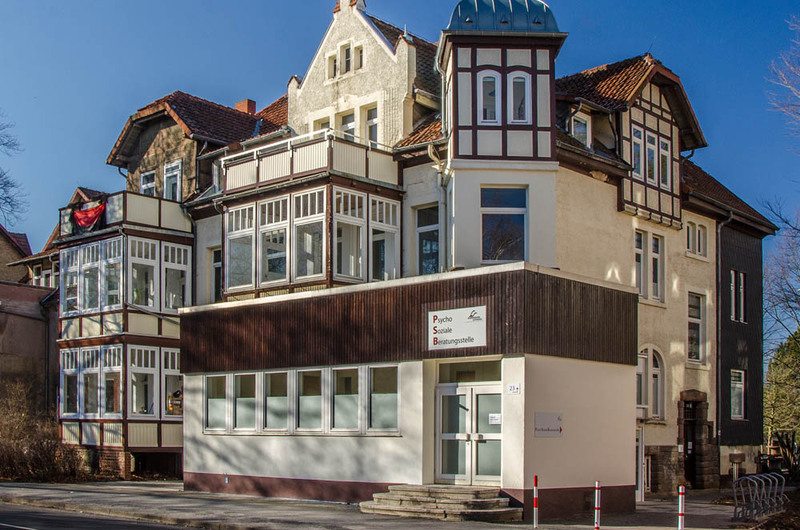 The psychosocial counselling centre (Psychosoziale Beratung, PSB), which we operate in cooperation with the university, counsels you on study difficulties and personal crises and offers course and discussion offers.